The Acura NSX has been launched on the Chinese car market. 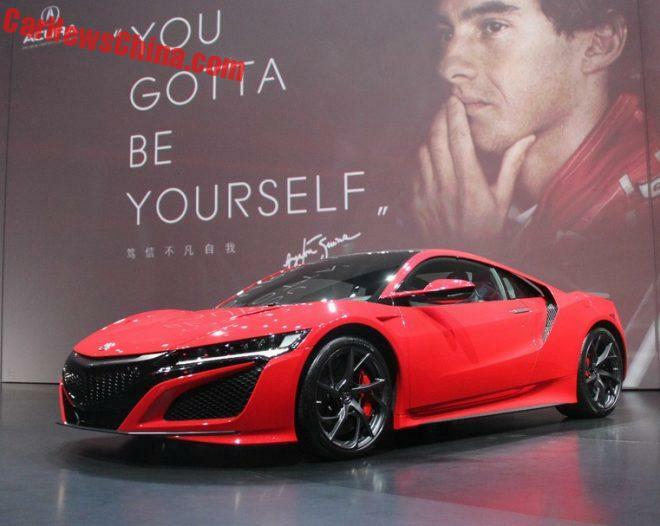 As usual there was a launch ceremony with bigwigs and speeches, and a shameless exploitation of Ayrton Senna, who was somewhat involved in the development of the old NSX. There is only one version available and it costs 2.89 million yuan or $420.000.